Imagine that you’re relaxing on a bed. Your bones are getting stronger; your immune system is being charged; your sore muscles are being repaired at an accelerated rate; and your hormone, cholesterol, and blood pressure levels are normalizing. Your whole body is being treated at the cellular level, and you don’t have to do anything. After your session, you feel energized. Your quality of sleep has improved. Your brain feels stimulated and you just feel better all around. 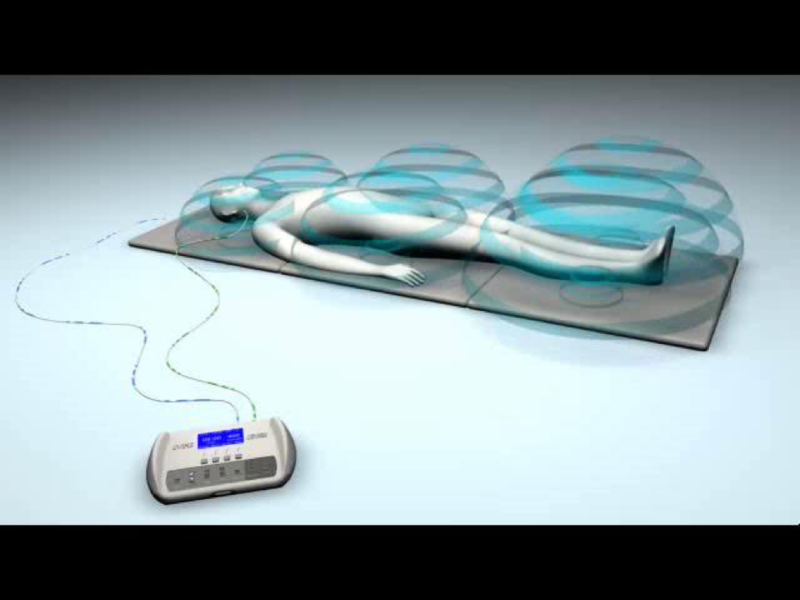 This is the result you can expect with Pulsating Electromagnetic Field therapy (PEMF). PEMF treatment is a new approach to pain management that uses electromagnetic fields to create pulsing, moving energy. Everything is energy; and in nature, all energy is electromagnetic. All atoms, chemicals and cells in our body produce electromagnetic fields. PEMFs address impaired electromagnetic fields and thus the function of cells – which in turn, improves health. PEMFs deliver beneficial, health-enhancing EMFs and frequencies to the cells. Low frequency PEMFs pass right through the body, penetrating every cell, tissue, organ and bone without being absorbed or altered. As they pass through, they stimulate most of the electrical and chemical processes in the tissues. Therapeutic PEMFs are specifically designed to positively support cellular energy, resulting in better cellular health and function (Dr. William Pawluk, Pulsed Electromagnetic Fields (PEMF): How They Heal). PEMF treatment is completely safe. It counteracts the dangerous EMFs we encounter through man-made means: electrical wiring and equipment, power lines, communications towers, computers, TVs, cell phones, fluorescent lighting to microwave ovens, hair dryers, clock radios, and even electric blankets. Modern inventions like these are significantly impacting our bodies in ways the body was never meant to endure. They can be a strong inducer of stress in the body and, therefore, drain our energy. PEMF treatment is made specifically for the EMFs in the human body. The frequency is not so high that it disrupts our natural EMFs. PEMF therapy has a frequency that allows electricity to penetrate our body’s EMFs and charge them without disrupting their natural flow. Ready to try PEMF? Book your appointment below. Be sure to also check out all of our other therapies that can be used in conjunction with PEMF!